Lorick Design & Construction offers full design civil engineering services and general contracting construction services. At Lorick Design & Construction, we pride ourselves in offering these services from a single source where there is no dispute between the designer and the builder. We have a three-phase approach to design and build. We design your floor plan and exterior elevations while simultaneously tracking the budget, once a design and theoretical budget are in place we present the project to the city-planning department for approval. Step two; proceed with engineering and detail development of the design. This stage enables us to verify the proposed budget as we progress with more detailed information. This is the stage where design changes occur to maintain a desired budget. 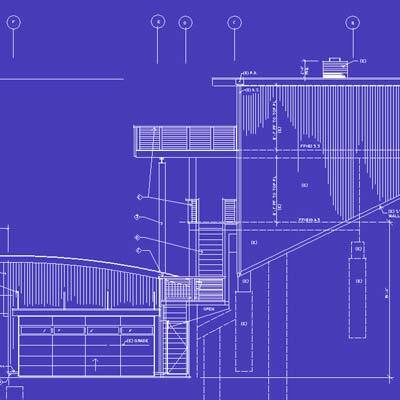 Step three, we complete the blue prints and engineering to create the final set of documents to present to the city building department for approval and permit acquisition. . Once the plans are approved, we guarantee you a spot in our construction schedule within 90 days of your permit approval. We developed this system of checking and tracking the budget as we design as we have had many clients come through our door with completed plans looking for construction services, only to find they cannot afford to build what they have so painstakingly designed. Our system helps to avoid that devastating experience of not only money spent on a design but the emotional toll of having to redesign and value engineer their project after they thought they were ready for construction. We strive everyday at Lorick Design & Construction to provide excellent workmanship and customer service. We know what quality work looks like and how to get it. We are very proud that when we build additions it is very hard to distinguish where the old house ended and the new addition begins. We maintain a professional team of craftsmen skilled in the following trades: foundation, concrete, finish and rough carpentry, door and window installation, specialty item installation, tile, drywall, painting electrical, plumbing and mechanical work. We have been known to be very creative in the construction field from lifting a house 12 feet in the air to allow us to build a first floor under it to threading steel beams through the side of three story house to remove posts in a basement to allow for the creation of a mother in-law unit. 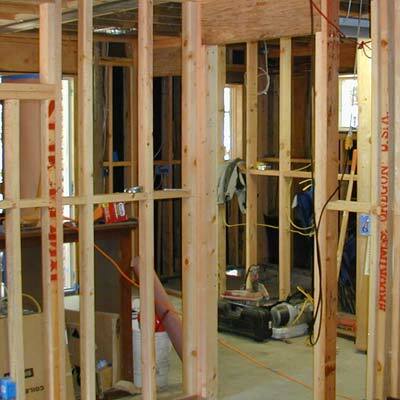 We have completely demolished an existing home to build a new one in its place. Our all-inclusive philosophy extends to project size as well. We feel that no project is too small. We like to think of our firm as a place where everyone can get quality design and construction service. Whether you have an aging kitchen an outdated bathroom or you need to spruce up an existing home up with new lighting, interior doors, counter tops, fixtures, interior trim and paint. Lorick can help you with all these projects. We can also assure you that we will be using only the highest quality and environmentally responsible materials on your remodeling project. The ability to provide in-house engineering while we design has proven to be an invaluable process to assure that we are providing value engineering as we design. We specialize in the engineering and repair of failing foundations, decks and or framing issues of existing homes. We have years of experience in installing and designing piers, grade beams, haunches and all manor of foundations. 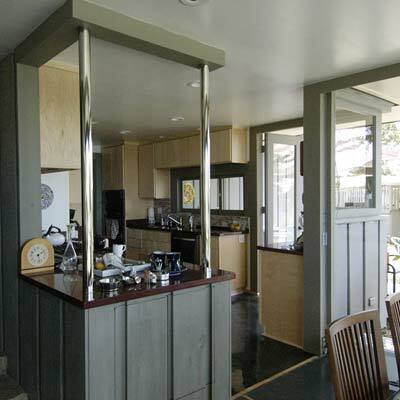 For example we designed a new foundation for a house in the Keith slide area of Berkeley, CA. Our team engineered this project from the soils report through construction. We designed a grid foundation that included a key footing and retaining wall supporting the subrogated load from Spruce Street, which abutted the property. We not only stabilized this house we also adjusted the floor levels to bring the floors as close to level again as possible. The floors were originally 17 inches out of level we brought them back to within 1 inch height difference from front of the house to the rear.